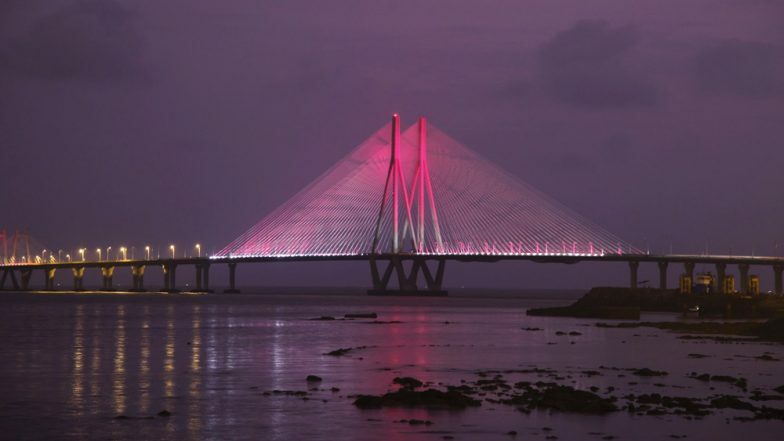 Starting from today, you'll see the Mumbai's famous Bandra Worli Sea Link lit in the colour purple for an important reason. Purple week, celebrated with a motive to increase the awareness about epilepsy begins today. The week is observed worldwide for the awareness of the neurological disorder. 100 countries celebrate the Purple week or Epilepsy week, and Mumbai too will become a part of the clan by marking the event under the guidance of Dr Nirmal Surya the founder of Epilepsy Foundation online. Along with Bandra Worli Sea Link, the Chhatrapati Shivaji Maharaj Terminus (CSMT) and General Post Office (GPO) building will also mark ten years of the Purple week. Epilepsy is a complex disease with diverse characteristics. One way to gain insight into potential mechanisms is to reduce the features of epilepsy to its essential components: seizures, epileptogenesis, and the state of recurrent unprovoked seizures that defines epilepsy itself. A general definition for the word "seizure" is a period of abnormal, synchronous excitation of a neuronal population. Seizures typically last seconds or minutes but can be prolonged and continuous in the case of status epilepticus. Seizures and epilepsy have been documented since the earliest civilisations, before much was understood about the nervous system at all. Most individuals with epilepsy were thought to be possessed, and the word "seizure" is derived from that notion, implying that gods take hold or "seize" a person at the time a convulsion occurs.